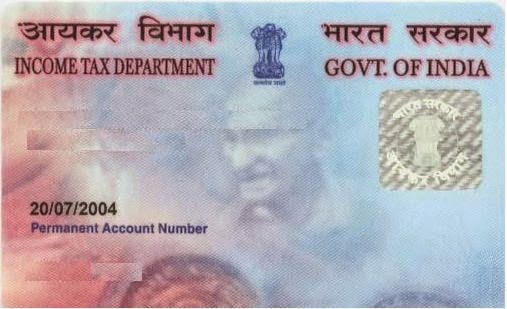 Pan Card is very important document. Without pan card, you can not deposit the money more than 50000 one time in bank. Pan card can easily be used for your identity. So, it is your duty to register your FIR in the police station in case your pan card is lost anywhere. FIR is the first information report. You have to give the written application for register the FIR, after this, police will take the action. What is the Need of Registering the FIR of Lost Pan Card? As per law, it is your duty to safeguard your pan card because your PAN number can be misused for getting mobile connection or any other purpose. So, when you lose your pan card, contact your near police station and notify them by written FIR. Only after this, you can apply for reissue of your new PAN Card. Following is the sample of application. During the travelling ( or what is your reason) from _________ to _________ with the rail ( or walk or bus or anything way), my PAN Card whose number ___ ( mention your number) has lost somewhere. It did not find after searching. If you have doubt on the person (mention the name and address) by writing. I think it has been taken someone who can misuse my number for bad purpose. So, I want to stop the working of its no. ______________ . So, it is my request to register my FIR for lost my PAN Card. Make 3 Copies of this. Stamp of Police station and take the sign of police officer. One will be in the hand of police. One you will attach with the application of duplication or New PAN Card. One will be in your hand. 1 comment to ''How to Write FIR for Lost Pan Card"